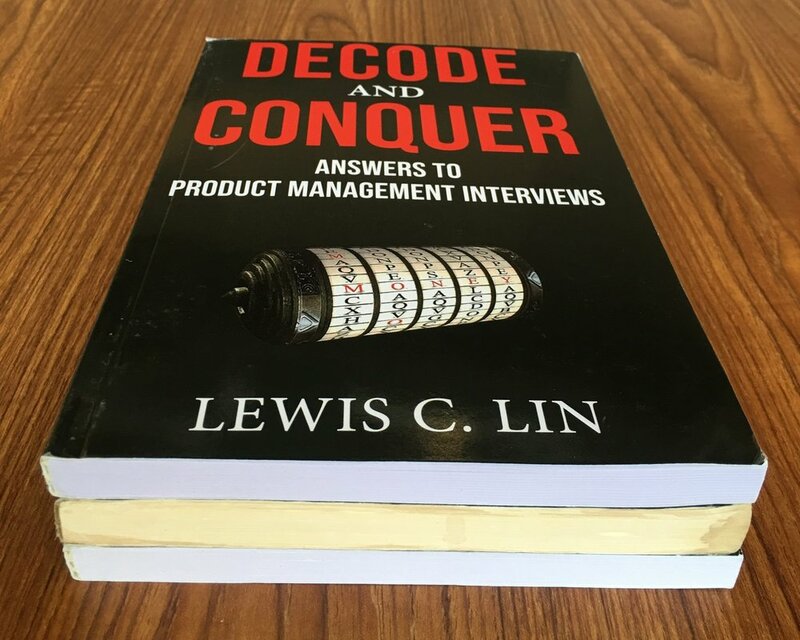 Last time, I covered counterfeit versions of the Product Manager Interview. 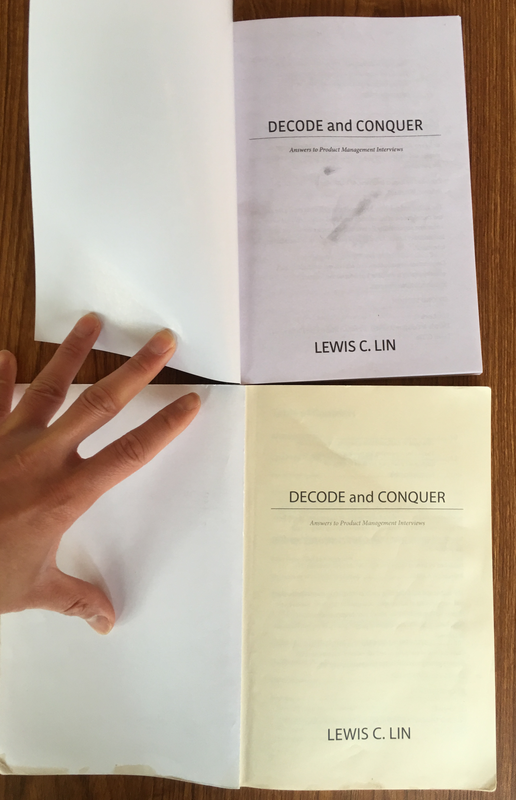 The counterfeiters are back at it again, but this time, they’re counterfeiting Decode and Conquer and selling on Amazon. Here are some photos along with some of the key differences. 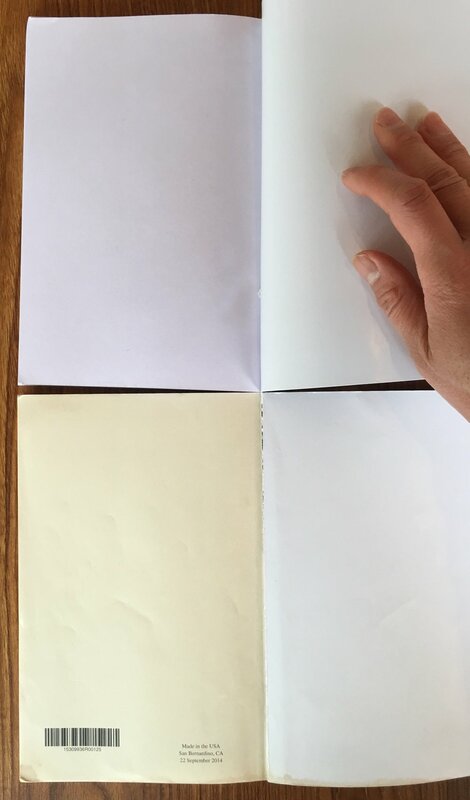 The counterfeit versions utilize bright white paper, but a legitimate copy (middle) uses cream colored paper. In this photo, the counterfeit is on the top, and the original is on the bottom. The original has the cream paper. The fake on top has the bright white paper. You’ll also note that the print quality is different and the fonts weren’t reproduced correctly. The counterfeit on top also has a black smudge mark that’s not appropriate for a supposedly “new” book. The fake book (top) doesn’t have the UPC symbol or the additional information shared in the original. The spine is clearly different: the fake books are shorter. The also don’t use the same fonts as the original. You’ve probably guessed it: the front is different too. The fake ones are shorter, as I’ve mentioned before. Also, the original book is matted, but the fake books are laminated. And you can see the original has some additional text above the book title, which the fake ones do not have. One last tip: a sure-fire way to avoid buying counterfeit versions of my book on Amazon is to double check and purchase books sold by Amazon.com only. When purchasing, look for the Amazon.com logo.